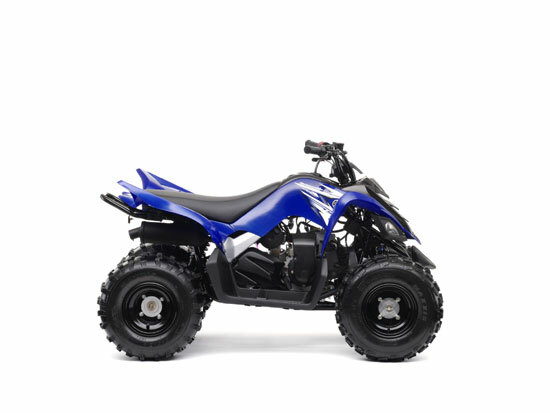 New from the ground up, the Raptor 90 features an 88cc air-cooled 4-stroke engine with an adjustable RPM limiter and a fully automatic CVT transmission. 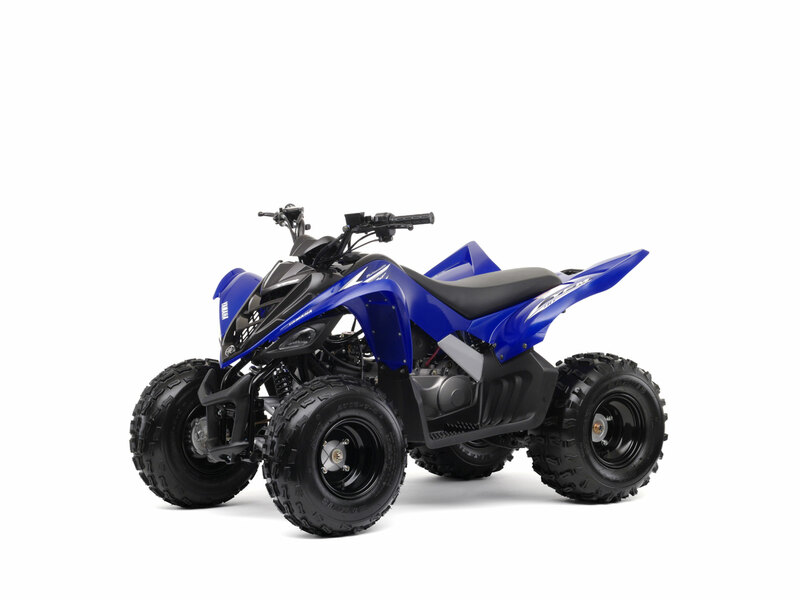 For kids 12 years and older, the Raptor 90 is an excellent machine to start learning on. 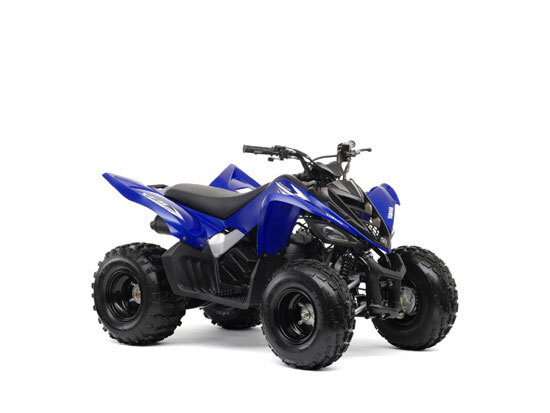 Powered by a reliable 88cc air-cooled 4-stroke engine coupled to a fully automatic CVT transmission, the Raptor 90 is not only easy to use, but can accommodate various levels of riding ability. And there’s an adjustable rev limiter to help you manage their learning curve. Hit the trails. Bring the family. Make memories. Powered by an 88cc forced air cooled 4-stroke engine for years of clean, quiet and reliable operation. Easy, push-button electric start in any gear for greater convenience. Adjustable RPM limiter allows a parent or adult supervisor to match the engine’s power output to the rider’s skill level. Fully automatic makes it easier to learn, while the CVT helps ensure engine power is optimized for a wide variety of riding conditions. 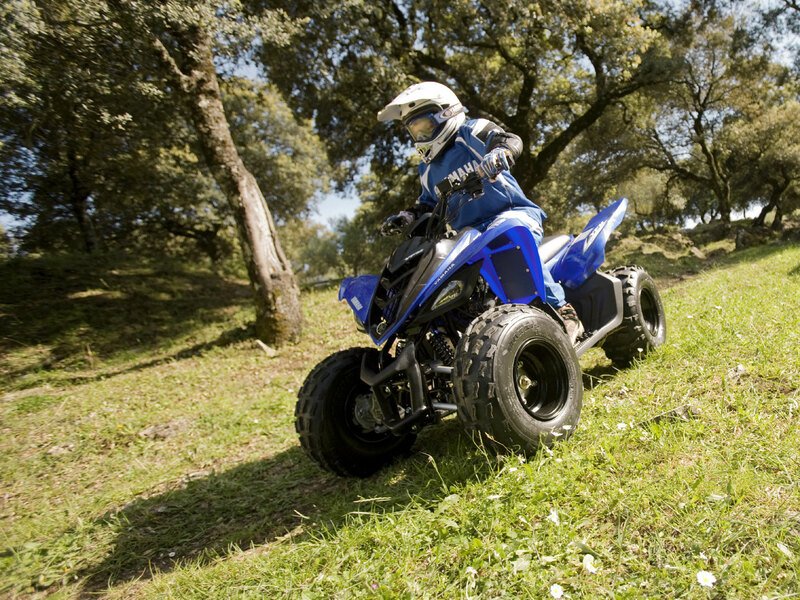 This allows the entry-level rider focus on the trail by eliminating a hand-operated clutch. With 4.4″” is suspension travel in the front and pre-load adjustable shocks, the little Raptor 90 is capable and comfortable. 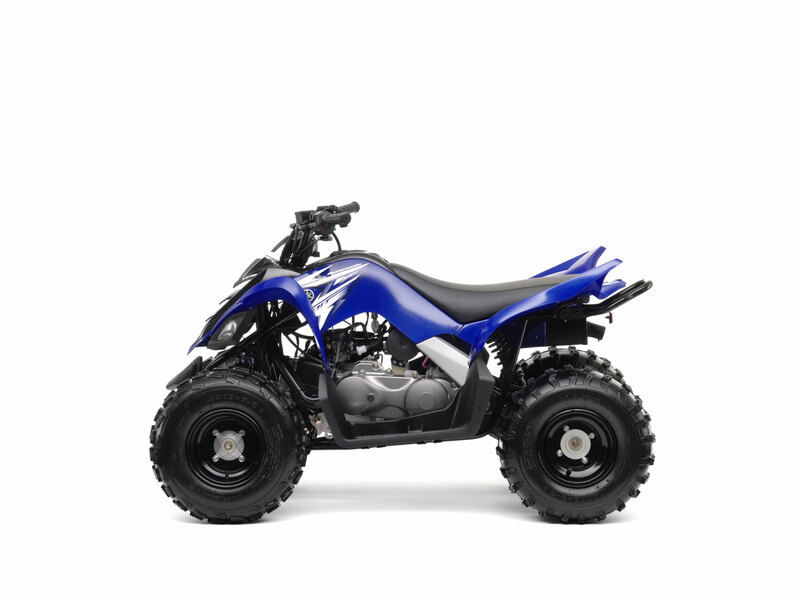 The lightweight rear swingarm suspension also has a pre-loead adjustable shock, and is designed to help the Raptor 90 stay flat in a corner, while maintaining predictable handling. Light in weight, a hydraulic disc brake helps provide consistent stopping power, in a variety of riding conditions. Lightweight and super-reliable chain drive provides an excellent balance between performance and reliability. Rugged muffler equipped with a USFS-approved spark arrestor for quiet operation. Wide cushy seat and full-size handlebars ensure supurb, all-day comfort and minimize fatigue for even the biggest riders. Fully sealed front drum brakes keep out water and debris, providing strong, reliable stopping power. 1. A throttle opening limit screw on the throttle lever housing. 2. A bypass plate on CDI unit for limiting maximum engine rpm. Note: 12+ rating – Recommended for use only by those aged 12 years and older and always with adult supervision. Please refer to owner’s manual for rider weight limit.